The Securefast SBL320 Easy Code with Holdback function are designed to offer a simple & convenient solution to provide security for low to medium traffic areas such as store rooms, workshops & offices. 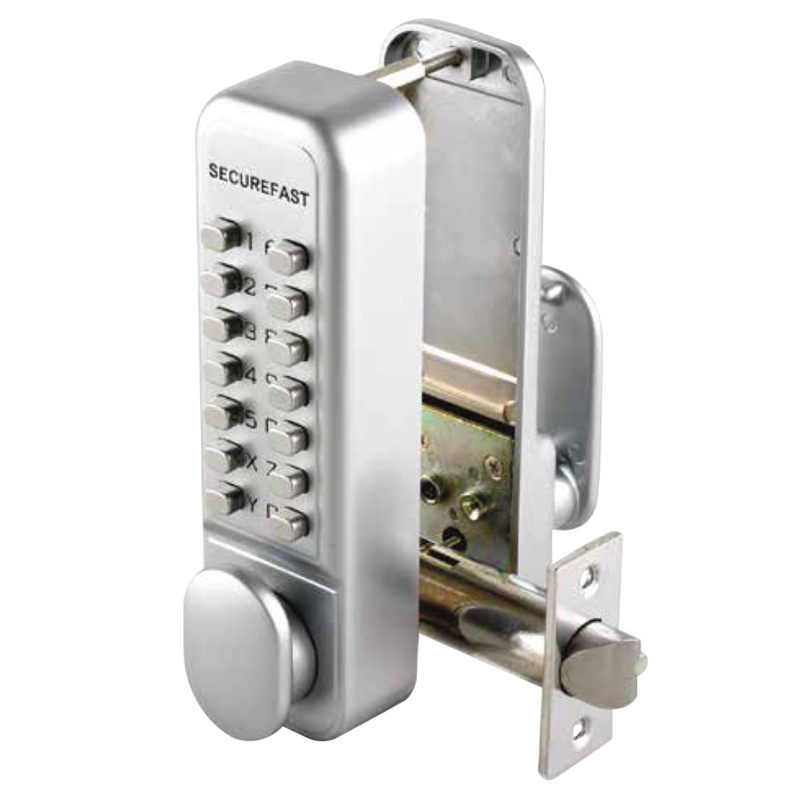 This mechanical digital lock incorporates 13 available combination buttons which can be used to create over 8000 non-sequential combinations, and has a compact & robust zinc die cast body. Changing codes has been made particularly easy, which makes reinstating security quick & easy when codes have been compromised. The Securefast SBL320 is tested to EN1637 & EN1670, and is supplied together with black neoprene seals.